The new and updated Rossignol Experience 88 Ti makes an excellent ski for the strong intermediate looking for all-mountain versatility or the expert looking for smooth and easy turns. New to the E88 this season is Rossignol's LCT (Line Control Technology) which is derived straight from their world cup race program. LCT uses a central rail that runs the entire length of the ski that adds stiffness and power by eliminating counter flexing of the ski to provide better ski-to-snow contact for more control and stability. The Air Tip VAS has vibration dampening materials in the tip to deliver a smoother ride, no matter how fast you are pushing them down the face. All-Terrain Rocker only improves the easy ski-ability of the Experience 88 Ti for quick turn initiation and smooth skiing in any type of terrain or snow condition. The new shape of the Experience 88 Ti allows a much more playful ride in difficult snow conditions like bumps, powder and crud. If you have always heard good things about the Rossignol Experience 88 or you have been riding an older model it's time to step it up to the latest and greatest. 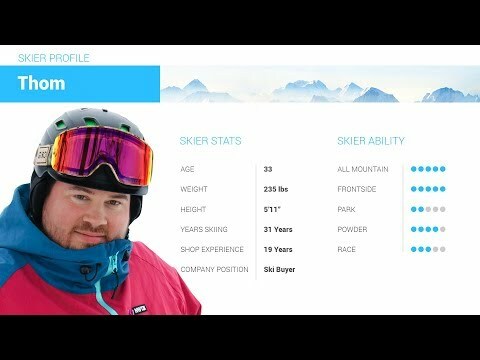 2019 Rossignol Experience 88 TI Ski Review by Adam. 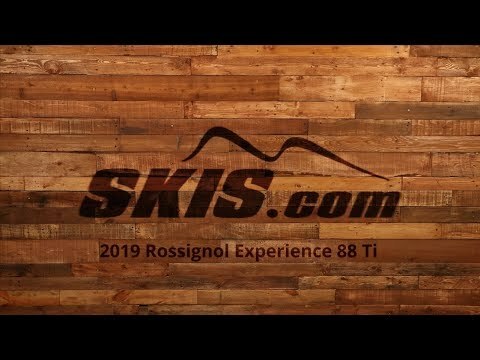 2019 Rossignol Experience 88 TI Ski Review by Thom . 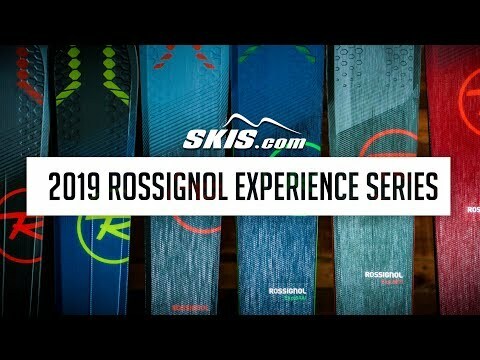 2019 Rossignol Experience 88 TI Ski Review by Paul . Q: I am looking for new skis and am debating between the Rossignol Experience 88 Ti and the Atomic Vantage X 86 and would like your advice. I am an advanced skier that skis in the East (so mostly on groomed runs) but I like to ride the glades and go off piste when the conditions are right. I am 5'9" and 165lbs. Would you recommend one over the other? Q: looking at the Rossi exper. 84 and the 88 for front side for great carving. I'm adv. to exper. 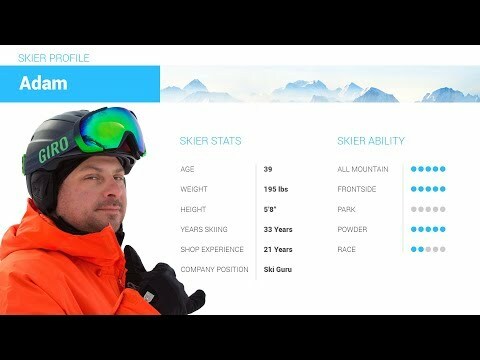 skier. Been off skis for 12 yrs. Weight is 205 and at 5" 10.Sking Mt. Bachelor. Do have the Rossi 98 for med. powder. Suggestions?? Skied the older Rossi with great edge hold. Med. aggressive at this point for ice and groomed. Age 69. A: You will definitely want to stick to the Experience 88. While the 84 is a great ski the 88 offers the additional performance to give you the strong edge hold and performance you'll want of groomed and firm snow. At your weight and height I would strongly recommend the 180cm length for you. The 187cm would also be acceptable if you are looking mostly for medium to long turns at high speed. 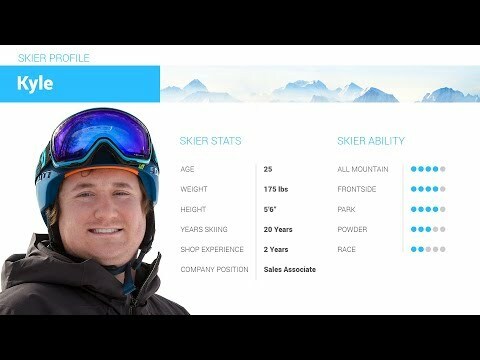 Q: 5'8 175 Hi intermediate to advanced skier . Looking at the 173 Rossignol experience 88 TI. Or should I consider the 180 ? A: At your height and weight you would be okay on either the 173 or the 180. If you prefer shorter controlled turns at medium to slower speeds the 173 would be ideal. If you prefer medium to long radius turns and skiing at medium to high speed speeds the 180 would be better for you. Q: Hi, I'm 5'7" 145 lb. Intermediate-advanced level; currently using an entry-level Elan 152 cm. Looking for my first "real" pair of skis for the next 5+ years. I probably am on the aggressive side considering my ability level. Should I go for the 166 or 173? I don't want to get the 166 and in 6 months feel I should have gone for the 173, but I am a bit afraid of skis longer than myself given my level. I'm ok with a bit of a struggle the first few weeks, if that's what it takes. Thank you!! A: Based on your weight and ability, I would recommend the 166cm for you. 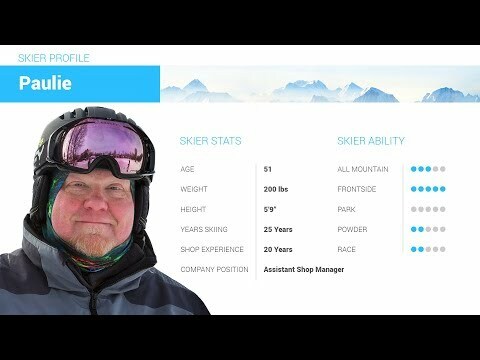 Q: I'm 5 ‘8 175 lb hi intermediate to advanced skier . I ski five year old Rossi experience 88 , and a love of them .. looking at the new 88 or the Nordica navigator 90s . I screwed the whole mountain ! What do you think ? A: Honestly both skis are very good and would be great choices for you. The biggest difference between the two is that the Rossignol Experience 88 Ti is going to prefer medium to short radius turns and feel very very stable while the Nordica Navigator 90 is going to prefer sticking with a medium radius turn but be more playful and snappy compared to the E88. If you prefer the E88 I would pick the 173cm length and in the Navigator 90 I would suggest the 172cm length. Q: Please let me know what is included in a binding set. Are the front and rear holders just have to slide on the plate that is going to be factory installed or you will send just the flats and whole binding set? Very confused with all the answers. A: The toe and heel pieces are included with the SPX 12 bindings. The plate is installed at the factory. Q: Why can't you install the binding plate and let me follow with adjustments. A: Proper binding mounting requires many settings that have to be verified through release testing with the appropriate tools. We cannot set up any bindings that we cannot test to ensure proper release which requires the actual boot that will be used in the system. As a result we are unable to pre-mount or rough mount any bindings for safety reasons. Q: Also I see the SPX 12 Konect bindings always being paired with these skis. What's the reason for this and would Marker Griffon ID 13s work just as well? A: This is is designed as a system which requires the use of the SPX Konnect system. It cannot be used with any other binding. Q: I'm a fit 157lbs and 5'8". I'm an intermediate skier mainly skiing the front side at Tahoe with the occasional venturing off onto ungroomed front side trails or alternative ungroomed routes through trees on groomed trails. Would you recommend the 166 or 173 length? A: At your Weight and Height both lengths are a viable option. If you prefer short, slow to medium speed, controlled turns the 166cm length would be ideal. If you prefer medium to high speeds, medium to long turns, or are looking to step up your ability level the 173cm length would be much better. Q: will the bindings be mounted? A: We can only install bindings if boots are purchased with the skis. The exact boot that is going into the binding is required for proper installation, adjustment and release testing. Please understand this is for the safety of the user.